Hello lovelies! 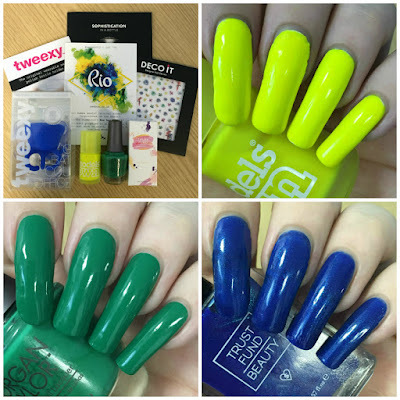 Today I have my swatches of July's MeeBox polishes to show you. 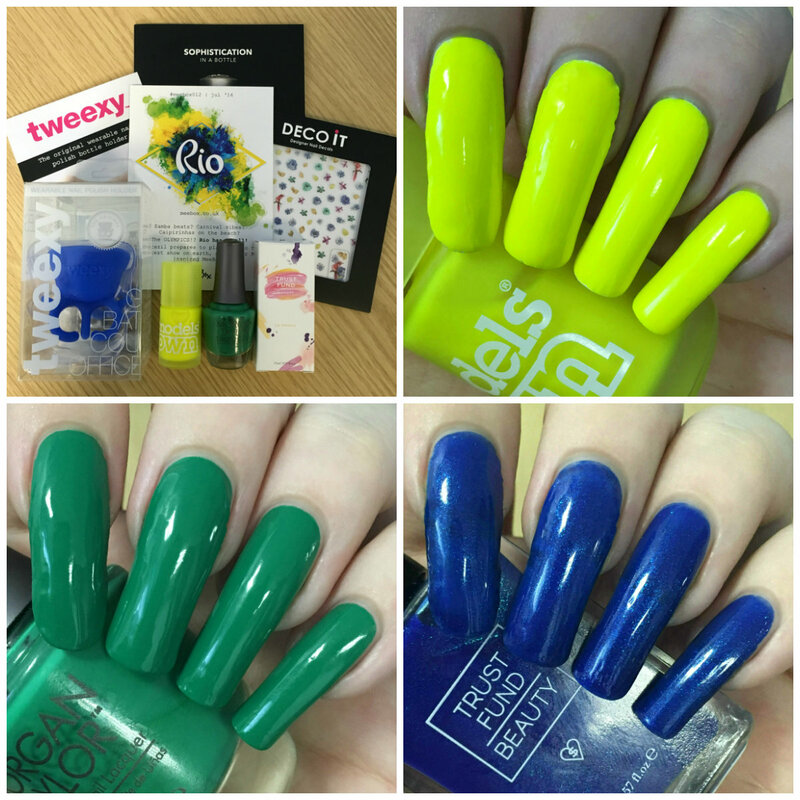 July's box was Rio themed, consisting of bright/bold colours matching the Brazilian flag. You can find my unboxing with my initial thoughts here. The colour theme is a bit different to previous boxes, but I actually quite enjoyed it. Read on for full swatches and more info! Model's Own 'Luis Lemon' is a highlighter neon yellow. It is very sheer so I decided to layer it over white. The formula is easy to use but slightly thin - which actually helps to cover the white base. It applies very evenly on the first coat, and a second brightens the colour. It also dries quickly to a matte finish. Below is two coats and topcoat over white. 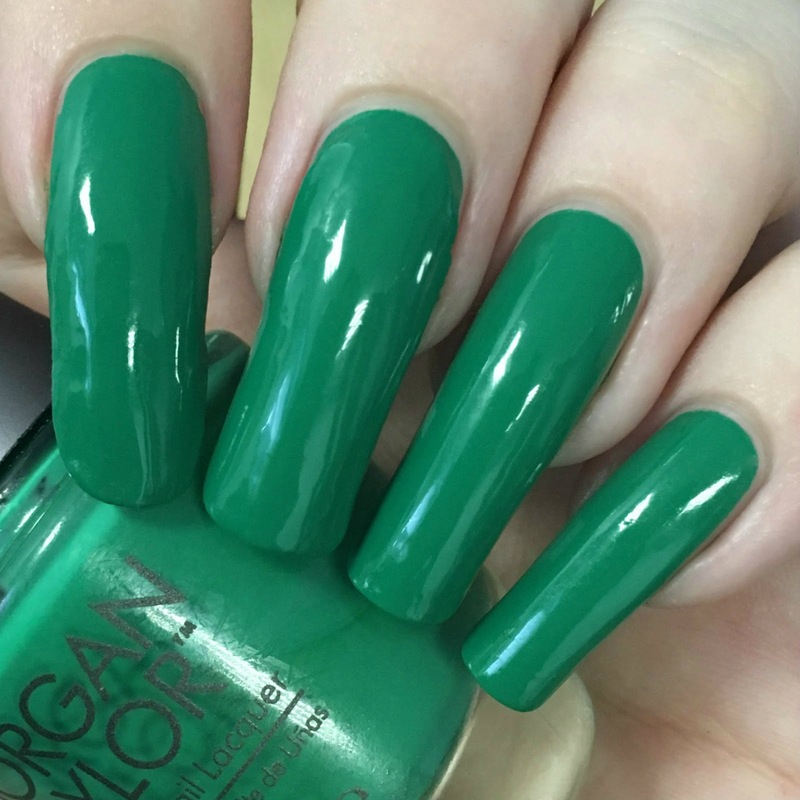 Morgan Taylor 'Later Alligator' is a bright bold green creme. The formula on this is very smooth and easy to apply, and so close to being opaque in one coat. I had a few subtle streaks/patches so did need a second. If applied carefully or slightly thicker, it could easily be a one coater. Below is two coats and topcoat. 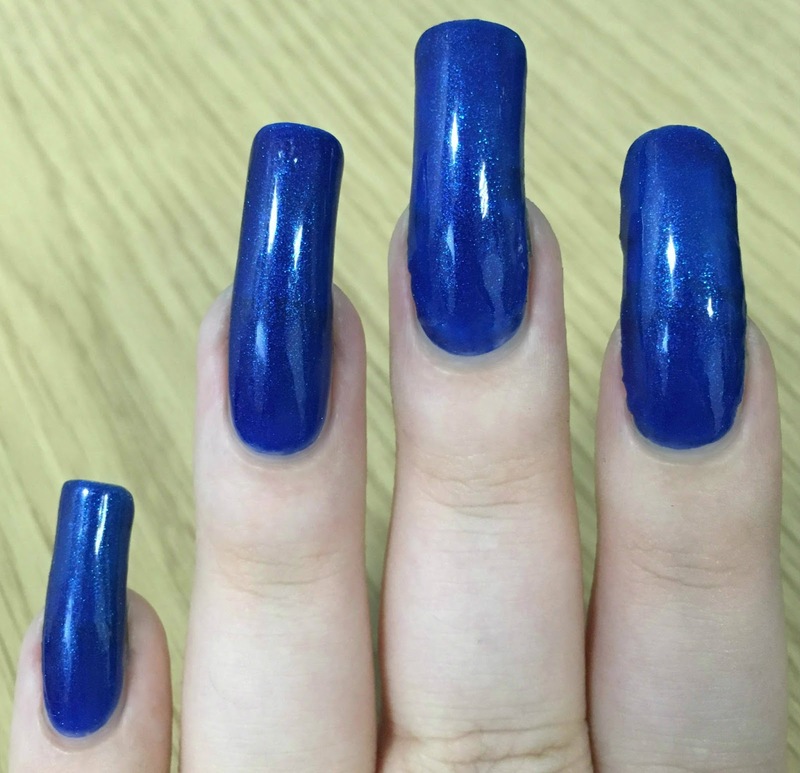 Trust Fund Beauty 'Denim With Diamonds' is a deep blue base full of bright blue shimmer. This base is more of a jelly so it is quite sheer. However, the formula is a bit on the thicker side, helping it build up in just two coats. Being a jelly it dries nice and glossy, although topcoat really livens it up and brings out the shimmer. Below is two coats and topcoat. What do you think? I actually really like them all. I wasn't sure I'd appreciate having to layer 'Luis Lemon' over a white, but the brightness is worth it! 'Later Alligator' has to be my favourite. As mentioned in my unboxing I've really been drawn to greens recently, and it definitely didn't disappoint. 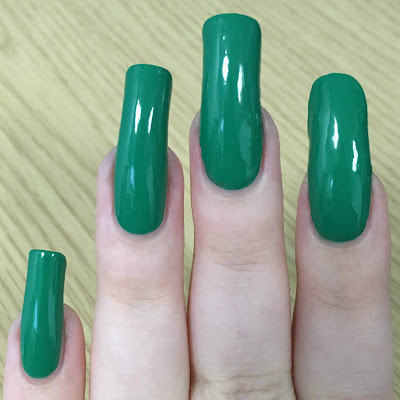 For my nail art look this month, I've smooshed all three colours together - look out for my post on Monday! That yellow tho!! 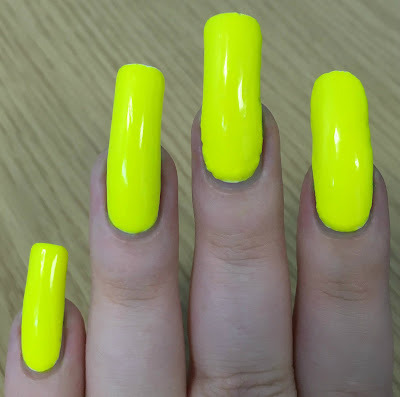 I mean that is bright! I love all three of those colors together. Perfect for Brasil. Just reviewed this box myself and your swatches show the polishes perfectly. I love it! 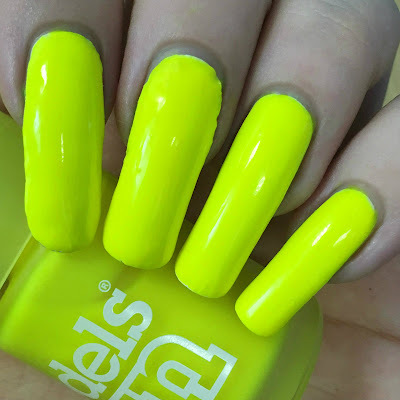 My fave is def Denim with Diamonds but that Models Own is so bright, it's a fave for the summer. 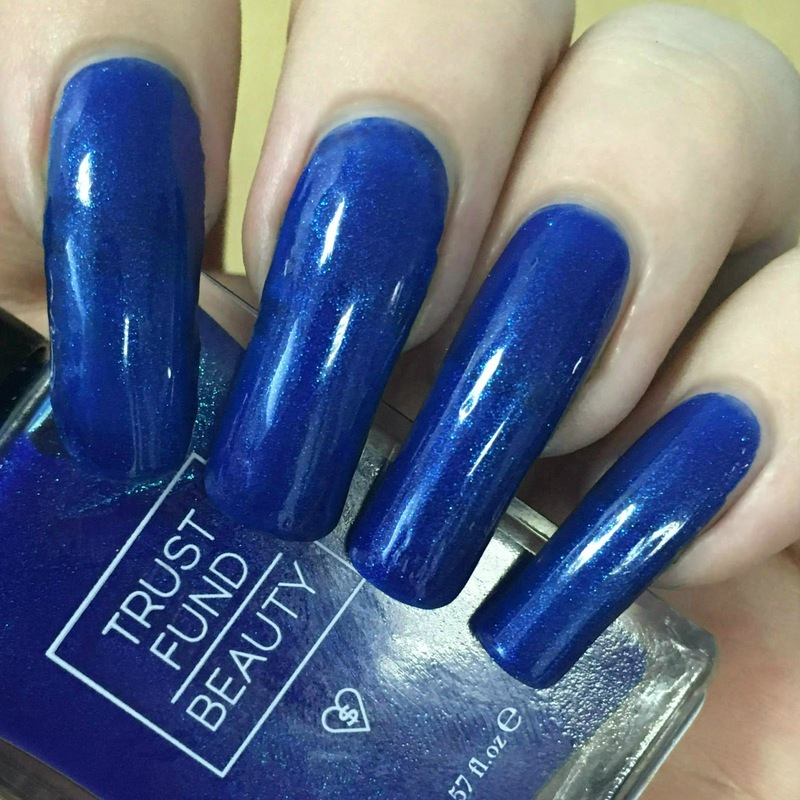 Love the Trust Fund Beauty polish! I have a few and really like them. Great swatches! I love Denim with Diamonds.